NBA superstar Chris Paul turned heads when he played with his eighth signature shoe with Jordan Brand during the gold medal match of the 2012 London Olympics men’s basketball competition. 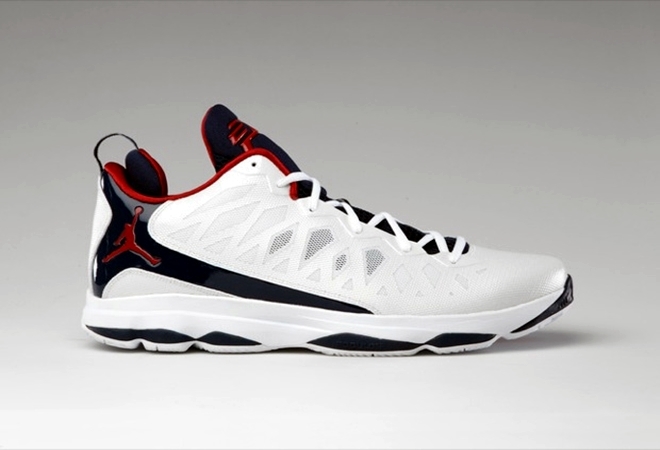 Finally, the long wait is over as Jordan Brand announced the release of the Jordan CP3.VI, which will debut in an “Olympic” edition – the same colorway worn by Paul in London last month. The USA-inspired edition of the kick will hit the market today, September 8, for a very reasonable price. Built for quick and elusive types of players, this shoe looks very impressive – design and durability-wise. Expect this new kick to get a lot of attention so make that you’ll get your own pair immediately!